How Much Fertility Information Are You Consuming? I’m always amazed when I speak to women who are on the fertility journey. Whether you’re just getting started trying to conceive or whether it’s been a while – how much time are you spending on Google and online forums in search of that missing piece of information that will finally get you pregnant? This constant searching for answers can be exhausting and overwhelming. Imagine if you used that time you’re spending googling for answers to get quiet and listen to what your body is trying to tell you? Today as I sat in meditation I noticed this heaviness in my heart. It’s not a new heaviness, but it was particularly intense this morning. So I sat mindfully and breathed into it. Instead of feeling overwhelmed (like I anticipated), I felt a sense of wholeness. By giving my attention to my heart, I became aware of my whole body and the heaviness dissipated. With each passing cycle that doesn’t result in pregnancy, it’s normal to feel powerless. It’s normal to have a heavy heart. And none of us wants to feel powerless or in pain. So we look for a way to regain control and quell our anxiety. And the internet gives us that ‘fix’ even if it’s just for an hour or two. It makes us feel like we’re doing something. The problem is, that extra information doesn’t usually change our situation. And it often disconnects us from our bodies. What if your body has the answers you’re trying so hard to find, and you just need turn the key that will unlock the door to your inner wisdom? Instead of trying to fix your infertility by consuming more information, what if you got quiet and listened to what your body is trying to tell you? If this idea is new for you, I invite you to close your eyes right now and take a deep belly breath. Place one hand on your heart and one hand on your belly and breathe. Take comfort in the waves of each inhale and exhale – in and out of your nostrils. This is your time. You will be a mother. How you get there is in your hands. Give Moon Goddess a try if you want to heal heart and womb and welcome a baby into the sanctuary of your body. If you’ve been trying for more than a year and you’re on the verge of seeking medical fertility treatments, or if you’re well on your way doing rounds of IUI or poised for your first (or subsequent) IVF, take a deep breath in. Before you go any further, check out Moon Goddess. 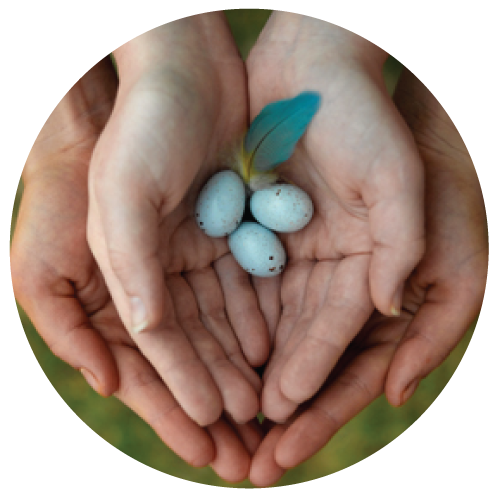 I have seen so many of my clients use this program to conceive – half of them naturally and half of them with assisted reproductive technologies. 50% of my Moon Goddess clients have gone on to conceive and carry a healthy pregnancy. Email iam@yogagoddess.ca if you’re leaning toward the program but need a quick chat to help you decide, one way or the other. 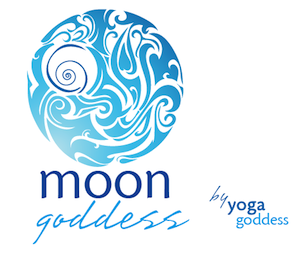 Moon Goddess is a fertility-enhancing yoga & meditation practice that improves your chances of conceiving by 50%. Right from the comfort of your own home and at a price point that is easy to say yes to. Check-out Moon Goddess and prepare for your miracle. Well said Rachel. The truth is many of us have been taught to bypass our own self-knowledge and defer to the ‘experts’ – that’s why going ‘outside’ for the answer can feel easier, because it’s what we know. Sitting with ‘not knowing’ feels uncomfortable and like you said, it can also feel scary. Uncertainly is almost always uncomfortable. But when we sit quietly and actually open our inner ears to listen to the wisdom within us, we can venture into the possibility that we do know. That the answers are actually there within our reach if we just give ourselves the chance. I’m happy to hear that you’re opening up to that possibility!